Let us take a few things as a given before I start this endeavor in trying to explain the rest of the article here on Hiendnews.gr. Firstly, I have not, nor will I get paid, directly, or indirectly for this write up. Secondly, I was never given nor gave any hint or intention of keeping the products given to me for this write up. Obviously, this means, that I will not keep or have taken as gifts or reductions in prices for the given products, nor any other products talked about or insinuated in this write up. Thirdly, I have no relationship with the importer or any of the companies herein spoken about, nor paid by any third party for anything that you will read here. Lastly, I first met the Greek representative only when I went to pick up the items for me to create a write up of living with the few things we would pick. 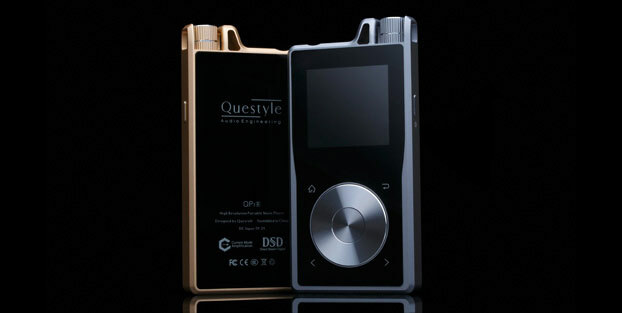 The extraordinary audiophile portable Questyle QP1r DSD player. Okay, now that that is settled, let’s get to the fun. I am 51 years old. I love turntables, bulbs, valves or what you prefer to call them. I never use my mobile device for any type of music as I suffer from a problem which stems, and ends, at the fact that, if I do not have the entire spectrum in front of me, or close to me, then I prefer not to listen to it at all. The same thing applies to MP3. I never download them for the car, or have any on my phone. I honestly abhor compression when it comes to my hobby, namely music. So if you take the above mentioned into consideration, you can understand that it would be an unwise move for me to be stuck with a portable music player, a Questyle QP1r, one set of its low cost earphones, and a headphone, (which looked like a million bucks by the way). I have never seen the actual reason why they exist, other than kids using portable music on their mobile devices. The creation of a device which was high end and could support DSD 128 and 24/192 kHz files was far off my radar. How can someone who is my age, who is not a runner or a person without music from other means around me, actually use such a product I did not know. That is why I wanted to actually take and use, without doing a full analytical test, this award-winning DAP and see what it was all about. I saw it advertised for 700 Sterling but have no idea what it costs and when that cost was quoted, but one thing was for sure, no company in their right mind would sell something for that much money, if it didn’t have something to offer better than its competition. So, the next problem of mine was just realised. 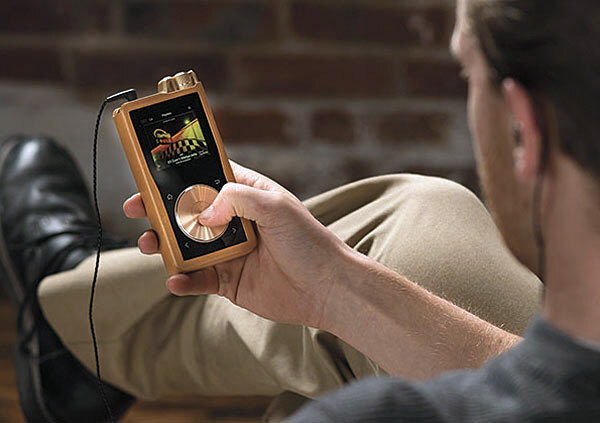 I had absolutely no experience than a 5 minutes’ test with an ifi Nano and Micro which was on display for the Audiophile Club of Athens, one night a few years ago. As an avid fan of electrostatic, and mostly STAX headphones, I was enticed to listen to what cost a pretty penny next to the car I was about to buy. It tempted me, and if it were not for me despising exercise and walking in the rain, my car would not have existed! So we can honestly say that I have ZERO experience with this complicated piece of machinery. Let’s take a look at the stats, which I never do, but will this time around as I had to learn about them after I heard this DAP. This literally is a copy past of what the site has for info, so if there is a change please forgive me. A break for SPECS etc…. 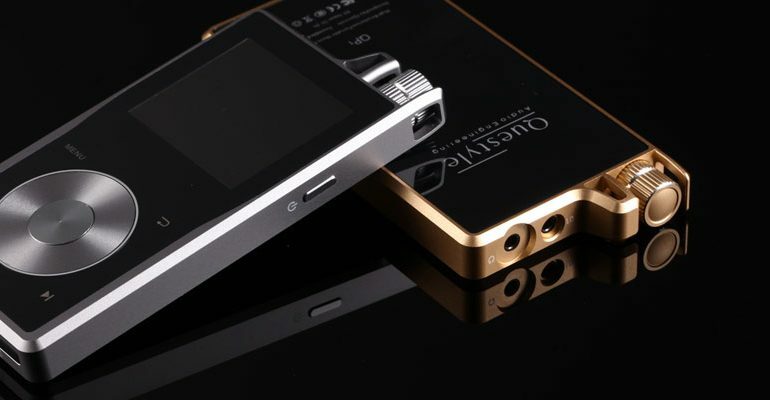 · Patented “Current Mode Amplification” in headphone AMP, all discrete components, Pure Class A circuit. …and back to the soul of music ! AT first I must admit that being able to play pretty much every format of music I knew, caught my surprise, as I feel too many companies design their products to only play one or a few of their favourite formats. I went home and filled two micro SD cards with every single format that the company said it could, and charged it up for a test run. Now, when we say test run, I could only test it with a few pair of Senheisser’s Momentum 2, the lower end Meze Iridium in ear plugs, and its own pair of 99 Meze Classic, in gold. My older generation Stax and various other lower end ear cans, and phones of various kinds and prices were also available, but the ones mentioned were the ones mostly used the days I had the Questyle with me. 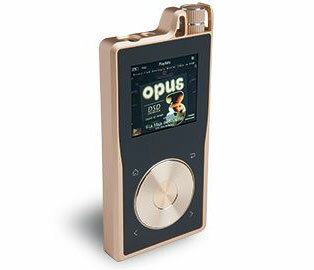 I decided to not have a few hour test until later on in the day, while I learn how to use the very uncomplicated DAP with its gold dial and very well-known, and missed volume controller from the past. I was quite impressed with the gain controller which went through all the earphones, headphones, etc I listened to seem at home with this unit for the time I had it. Let me introduce myself. That was my first impression upon pressing the side button and starting up the Q with a small and very precise buzz, unlike any other I have felt. It didn’t go into amazing graphics or a full colour screen to impress me, but it made it so simple that all of my younger friends, and older, learnt how to use it within two minutes tops. I did what I shouldn’t have done right from the start. I wasn’t planning on it, I simply did it without even thinking, meaning I wanted to do it to get it over with once and for all. I connected my simple and horrid stereo (look alike) which I had in the living room at the time and connected it through the headphone jack. HUGE mistake, and I mean that in capital letters! I was perplexed by the sound quality, never allowing the highs to break my Scala tympani while also giving me mids and lows which the equipment I had could not even dream of achieving. I was pleasantly surprised with the homogeneity of the vocals within the sound stage and the depth it gave to otherwise dead speakers. (I will explain why they are, afterwards) I saw myself turn up the volume and before I knew it, people behind me were dancing and to say the least, I was once again reminded that quality makes you move, and in this case, it was the quality of the actual title, but the reproduction, despite it was through the headphone jack of an old Marantz pre-amplifier which must be older than 20 odd years old, was actually very much fun to everyone. Obviously, the sound was not high-end nor was it making the speakers playing like they cost ten times the money, but for what it was, and how it was set up.